After four years of development, the first international standard for sustainable procurement was launched late last week by the International Standards Organisation (ISO). The first standard of its kind in the world, ISO 20400 aims to help companies make better purchasing choices throughout their supply chains by establishing guidelines for companies to judge suppliers on ethical and sustainability issues. Jacques Schramm, chair of ISO/PC 277, the committee which developed the standard, said it would help organizations avoid the financial, environmental and reputational risks associated with poor supply chain management. ISO 20400 aims to help companies make better purchasing choices throughout their supply chains by establishing guidelines for companies to judge suppliers on ethical and sustainability issues. ISO 20400 boasts 38 participating countries and 14 observing nations, together representing 65 percent of the world’s population, 85 percent of global GDP and 73 percent of carbon emissions. As well as environmental considerations, it also takes account of social and economic sustainability when judging what sustainable purchasing looks like. Unlike many other ISO standards, ISO 20400 is a guidance standard rather than a certification standard. 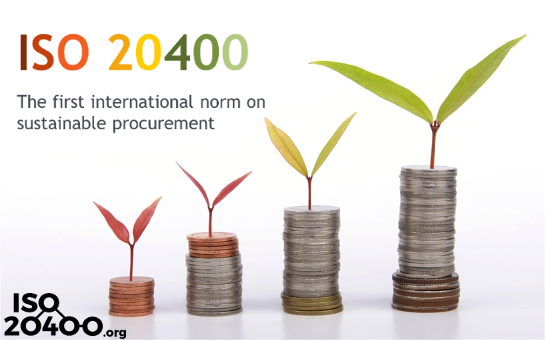 As such, companies cannot become ISO 20400 certified, and instead the aim is to build a global consensus around the key terms and expectations for responsible procurement. ISO said it will complement the existing ISO 260000 standard on social responsibility.